Masters Electrical Services has been serving Seguin, San Antonio, New Braunfels, and Austin along with the surrounding areas now for over ten years. Here at Masters Electrical Services, Ltd., we work to get your electrical system installed faster, more accurately, and for less cost. Our staff brings decades of experience covering all aspects of commercial, industrial, service, and design/build electrical installation, supervision, project estimates and project management. 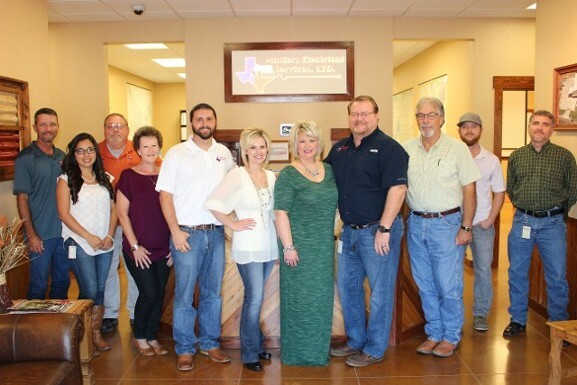 Since the oil boom in South Texas, we now have a department dedicated to serving the Eagle Ford Shale region. Building Owners, Architects, Engineers, and General Contractors know that when Masters is on the job, we'll bring the project in on time and stay within budget. Please see a sample of the type of jobs we have completed under the projects tabs. We are strongly committed to maintaining a highly skilled staff to ensure that every job is completed safely and to our highest standards. We, the employees of Masters Electrical Services, LTD, take pride in delivering quality, service, and craftsmanship, for customers and ourselves, through communication, planning, organization, and cooperation. We will continue to provide “Excellence in Construction” and exceptional opportunities for all members of our team. Masters Electrical Services, LTD. strives to follow these core values since the company was founded in 2006. Our commitment to providing our Customers with high quality, cost-effective solutions to their Commercial, Industrial, Service, Oil Field & Design/Build construction. These Core Values have made us a leader in our field. We partner with each customer to provide a dedicated project team that will assure proper planning, design, and quality control. Put your trust in Masters Electrical Services, LTD. to professionally manage your projects and complete them safely, on time and on budget. We strive to ensure the longevity of the company thru repeat and referral business and we accomplish this by customer satisfaction in all areas including timeliness, attention to detail and service-minded attitudes. Let Masters Electrical Services, LTD show you what sets us apart from other Central Texas commercial construction companies. Contact us today for a no-obligation consultation: 1-800-246-6330. Contact us at Seguin, Texas, to request more information from a capable electrical contractor.